Crystal Deas is a Georgia native and military spouse with experience in a variety of pharmacy settings. Her experience includes a Ferguson Fellowship with the CDC, a previous primary care faculty appointment and various clinical pharmacy specialist positions within the VA health care system. Her favorite scripture is Psalms 37:4-5, Delight thyself also in the Lord; and he shall give thee the desires of thine heart. Commit thy way unto the Lord; trust also in him; and he shall bring it to pass. 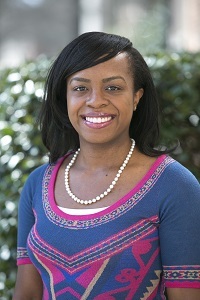 Deas feels blessed that the Lord opened the door for her to return to academia as a member of the McWhorter School of Pharmacy faculty, and she is honored to play a role in developing the future of pharmacy. Deas C,McCree DH. Pharmacists and HIV/AIDS prevention: review of the literature.J Am Pharm Assoc. 2010 May-June;50(3):411-5.